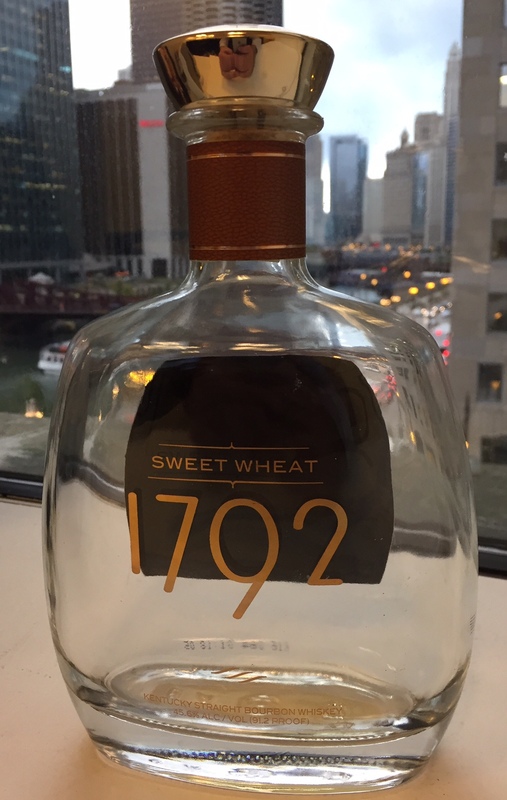 I had been on the hunt for a while now for the 1792 Sweet Wheat, but I just could not find it in the stores. Even when I was in Louisville, even though I was able to find it, it was either overpriced or there was something else that caught my eye at the time. So, when I wandered into one of my regular liquor store stops just to see what they had, I couldn't have been more pleased to find one bottle sitting by itself on the bottom shelf. The nose itself is indeed soft and sweet, like vanilla cereal. One of my favorite cereals growing up was Frosted Cheerios, and I was reminded of how much I like that cereal when I took a big whiff of this. This is unquestionably a wheated bourbon. However, it did not have that normal tang or twinge (I have no idea how to describe it) that other wheated bourbons have. I don't know if that makes sense to anyone reading this, but it does to me. Rather, this wheated bourbon is very smooth, and certainly sweeter than other wheated bourbons I've had. It has a soft and sweet palate to match the flavors on the nose. That cereal flavor is still there, mixing grain with sugar and vanilla. There is, however, something light and crisp about this whiskey that I didn't expect. I've tried to put my finger on it since the first pour, and yet, even after the last drop, I can't quite identify it. It is almost citrusy, but not quite. Perhaps it's just a variation of the aforementioned tang/twinge that I'm used to noticing in wheated bourbons. I actually had plans of getting to a good bourbon bar near my work where I know they carry the 1792 Sweet Wheat, but luckily for me I found a bottle of my own. Of course I may still go to that bar, but now I can spend my money trying something different. In the meantime, though, if I ever see Sweet Wheat on the shelves again, I won't hesitate to grab a bottle for the bunker.